The Kiosk at Joyce Kilmer Memorial Forest announces your entry into "The Primevial Forest." Entrance is free and the map shows a mere 2.5 miles of hiking invoved. It seems a small price to pay to witness the Ancient. It's an old growth cove forest not without impact. The virgin Chestnuts disappeared in the 30s to disease, and the wooly adelgid has decimated the great Hemlocks. 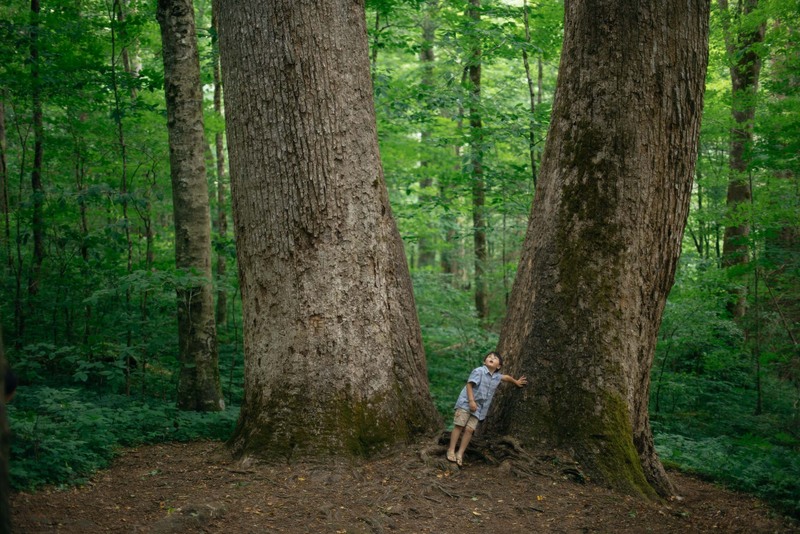 Still the Forest delivers, with incredible Tulip Poplars that dwarf visitors of any size, including Robert Landrew Moore IV.